Get ready for an amazing season! The Okavango Delta, the largest oasis in the world, attracts large concentrations of all forms of life from the surrounding Kalahari Desert. During periods of flooding plants flourish, animals reproduce and large herds of mammals migrate away from the swamp, to the fringes and to areas in the surrounding desert that benefit from the water that is slowly making its way through the sand. The exact opposite happens during dry spells! Large concentrations of animals come together around water pools, receding channels and lagoons. 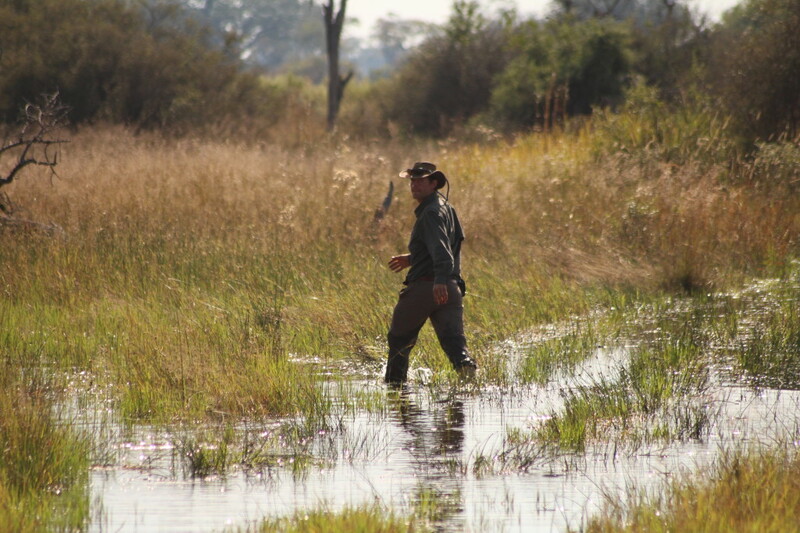 Considering the current water and flood levels and data on rainfall in the Angolan Highlands and the catchment area of the Okavango Delta it is very likely that the upcoming year will be very dry. It looked similar in the late 1990s and early 2000s – and game viewing around the core Okavango was nothing short of spectacular! We were there to see it. Elephants, buffalo, wildebeest and zebra jostling for a place around the precious wet; carefully watched by predators that follow the herbivores and focus ALL their attention around the last remaining watering holes. You remember all those times when we said: Or should I rather suggest to the clients to travel a bit later? When the game viewing is a bit better? Don’t you think June is maybe too early? Maybe rather September? In 2019 we are up for a much longer season of enhanced game viewing with less animal movement out of the Okavango, a true premier savanna game drive and superb walking experience. In essence: it will be September from June onwards…..
Sure, the water levels might get too low to conduct boat cruises and mokoro excursions sooner than in previous years in a lot of areas. But there is still a number of camps around, located close enough to the more permanent channels, where your clients can enjoy gliding through the swamp on a mokoro. Our consultants know exactly where to find those camps to add to your clients’ itinerary and where to include mokoro or boating. But don’t let anybody fool you into believing that a dry cycle in the Okavango is bad news. It is great news for a photographic safari. Get ready for an amazing season !!!! 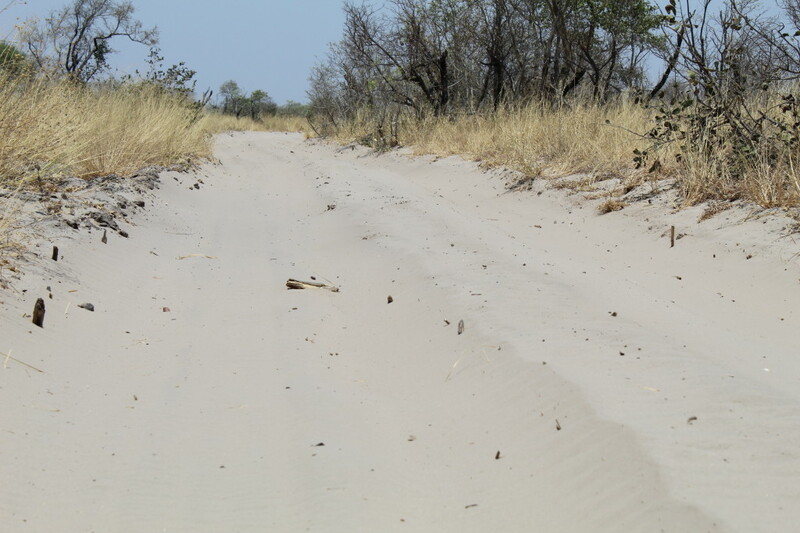 Driving through Botswana can present some challenges – difficult road conditions, destinations far apart from each other, remote areas and confusing “road” networks. All the more important is it to be thoroughly prepared and use the tools at hand to make sure your journey will be the safari of your dreams. One of the priorities of our recent self-drive adventure was to test the different tools available. We were super curious to test the app that everybody is talking about – Tracks4Africa. We compared it with the Shell Maps, our maps (which are great as a back-up) as well as the Garmin GPS. 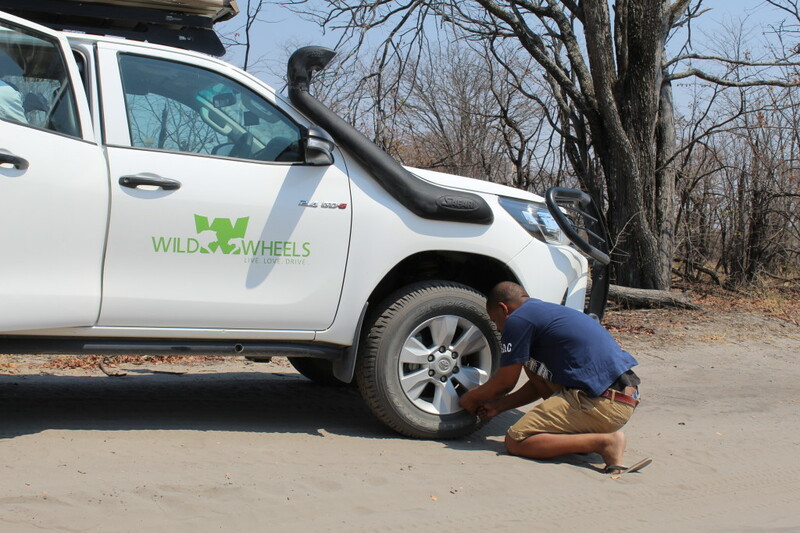 During our self drive trip through Savute, the Caprivi, and the Panhandle it became very quickly apparent that the Tracks4Africa app is a very effective tool! The app is very user friendly and the best about it, it works offline! Even in the remotest areas, the app connects the dots via GPS signal and allows people travelling to easily find their way around the complicated and sometimes a bit chaotic bush network. Tracks4Africa allows to search by accommodation, places, GPS coordinates, or when you see on the screen where you would like to go, you can simply tap on the screen and it will calculate the route for you. You also have the option of putting in so called “way points” along your way. This way you can literally map out your entire trip beforehand and it will lead you from stop to stop. The indicated estimated driving times are very accurate and if it changes along the way due to rest stops, slower driving etc. the system simply recalculates. We know that some clients struggle with the costs for the app. It currently costs USD 50, but this includes regular updates. The app covers many African countries including South Africa, Namibia, Botswana, Zambia and Zimbabwe and many more. Users purchase it once and can use it again and again. Driving through the bush, the app was most reliable. The ways leading up to the lodges usually are not mapped as some lodges do not advertise themselfes as self drive lodges, but by using the SD self drive maps with the accurate GPS points for the lodges, following signs or asking at gates even that was easily manageable. For next season we are considering putting together self drive-kits including the paper maps of Tracks4Africa as well as the guide book. This can be pre-ordered through Safari Destinations and the clients would receive it on arrival. Our recommendation however is that clients study their itinerary beforehand, downloading the app (available for Android and iOS) and make themselves familiar with their route. Botswana is a demanding destination when self-driving and proper preparation is everything. It has always fascinated me to see how young Batswana are proud of their heritage. It almost seems as if they all have two hearts, one that beats for the modern world and the other that embraces their culture, values and traditions. Here is the story of Tshepang and Ndiye, two of SD’s “rising stars”, who allowed me to share this with you. What started off as silly jokes and ‘friendship’ led to a journey of love. We knew for a while that there has been an office romance going on, but now it is official. 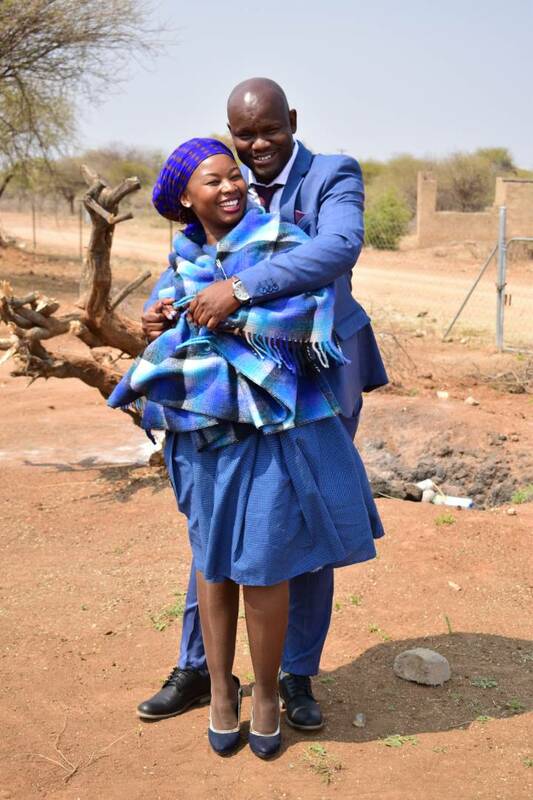 Tshepang and Ndiye celebrated their traditional wedding last weekend. These two very special people found their love in the workplace and decided to make a lifelong commitment. Congratulations to the perfect match. Traditionally in Botswana, when the groom’s inner voice tells him that it is time, he tells his uncles about his intention to marry. The uncles then “take over”. They will meet and discuss with the groom’s parents. A delegation from the groom’s side is sent to the bride’s parents to ask of their traditions. This is because although there is a lot of common practices, a few differences exist from tribe to tribe. The groom’s parents then visit the girl’s parents to get their consent which will then lead to the process called “Go battle mosadi” meaning “officially ask for the daughter’s hand in marriage” and is done by uncles to uncles. 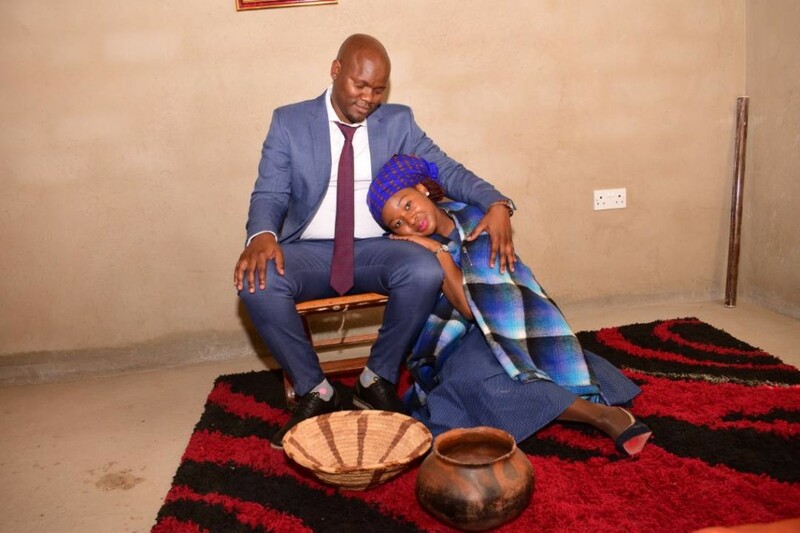 When the two families reach an agreement about the marriage, negotiations for bogadi/lobola (the bride-price) start. Bogadi/Lobola is a gift to the bride’s parents for their consent and also for raising the bride. Bogadi is paid in form of cows but we are very fortunate that families nowadays also accept cash. Knowing how special Tshepang is, it would have meant a whole herd of cows. Both groom and bride should be present at the Patlo/Bogadi celebration. During Patlo/Bogadi there is a feast with traditional food and beer. All women have to dress up traditionally, which means a skirt, blouse, a shawl, and a head covering. Men should be in long pants and jackets. Women sit apart from the men on the floor, whereas men are allowed to sit on chairs. What was your overall impression of the camp? Our handsome and very knowledgeable guide, Kyle, went out of his way to show us the very best of what Mapula has to offer. His passion for the bush and all the creatures and plants there within was contagious. Even after having done hundreds of safaris both Amandine and I learnt a whole pile more! Game was scare on our short visit but he made up for it by proposing to take us swimming in the flood water and sharing his “nature” books with us as we enjoyed tea and time-out in the bush. A particular mention for the swimming pool which is large enough to do a few lengths in but remains discreet at the same time. It’s built in a way that it makes you feel like you are swimming in the lagoon, surrounded by palm trees and lush greenery. There are plans to offer Hot-Air Ballooning and a fly-camp experience which we look forward to being able to promote to our clients. How does the camp compare to similar camps in terms of value and experience? Are there any notable special offers applicable? I think it offers excellent value for money considering that it’s a small camp on a fantastic private concession, has above average guides and is tastefully decorated in the immediately recognizable Ralph Bousfield Unchartered Africa taste, reminiscent of a bygone era. The exception being during the month of August when a peak surcharge is applied. Further reduced long stay rates are available at Mapula when it is combined with Meno A Kwena – speak to your local expert. How would you combine this camp in an itinerary and why? I would be confident in recommending 3 nights here in order to get the full experience and to discover what the concession has to offer completely. My suggestion would be to combine it with Savuti, Khwai, Makgadikgadi and of course Chobe, which fits into most itineraries. What type of clients does this camp suit and why? 1 Unit is suitable for families: Consisting of 2 rooms separated only by a curtain. Each room has its own bathroom and outdoor shower. As it is an intimate camp, I would suggest it to honeymooners and couples seeking peace and quiet. The adventurous because Mapula can offer off the beaten track activities such as swimming in the fast-flowing flood waters that quickly fill the dusty tracks or having an afternoon siesta on mattresses out in the wilderness. The ballooning and fly-camp activity will appeal to this market once operational. How does the seasonality of the area change through the year and what effect does it have on a visitor’s experience, with specific reference to wildlife and activities? The camp is set on a permanent lagoon. This makes fishing and boating possible all year long. 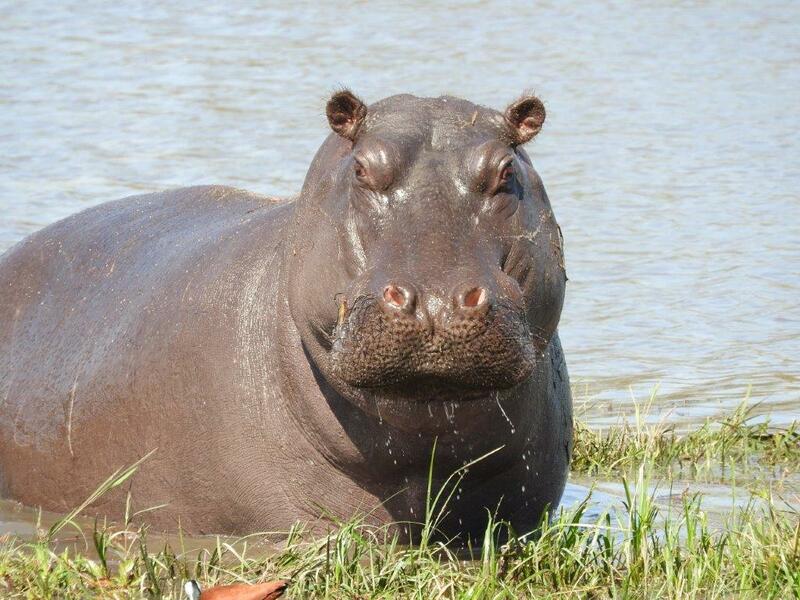 However, the lagoon is home to a large number of happy hippos so if the water level goes down too much those activities would be suspended. The camp being near the panhandle receives the first floodwaters of the year so they can start their mokoro activities earlier than those camps further down. The mokoro station is not in front of the camp. It’s a 10-minute drive to the jetty. Although we enjoyed the activity, the water was still pretty low so we were wrapped up in cobwebs to start off with! As the water levels rise it will become more pleasant. Are there any areas that could be improved? Are there any issues that could impact guests experience that should be highlighted to help manage expectations? The food was imaginative, of good quality and nicely presented however the quantity for the first lunch we had was insufficient. Sundowner snacks were not original and could be improved – biltong / nuts / dried fruit. Eric, the manager is running a good show. The staff seem genuinely happy to be working together and the service was attentive without being overbearing. They have kept 1 or 2 staff members on from the old camp. They clearly know the area intimately and you can tell that they love the area and are delighted to share information and stories with the clients. One never quite knows what to expect when an iconic camp undergoes a complete rebuild. 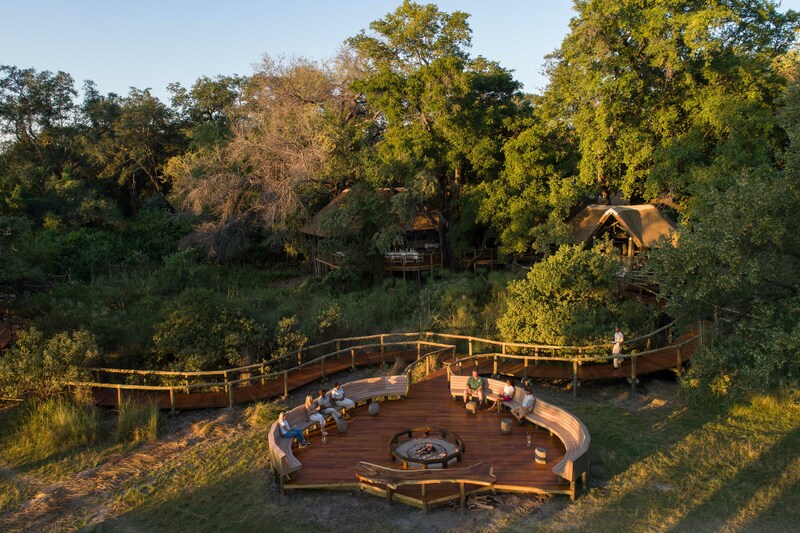 We had the pleasure pf spending a night at the newly built Camp Moremi which is situated on the picturesque Xakanaxa Lagoon in the eastern extremity of the Okavango Delta, within the Moremi Game Reserve. The camp is set a short distance from the lagoon, perfectly nestled under the natural shade of large Jackal berry trees and within a short driving distance of the new Xakanaxa airstrip. 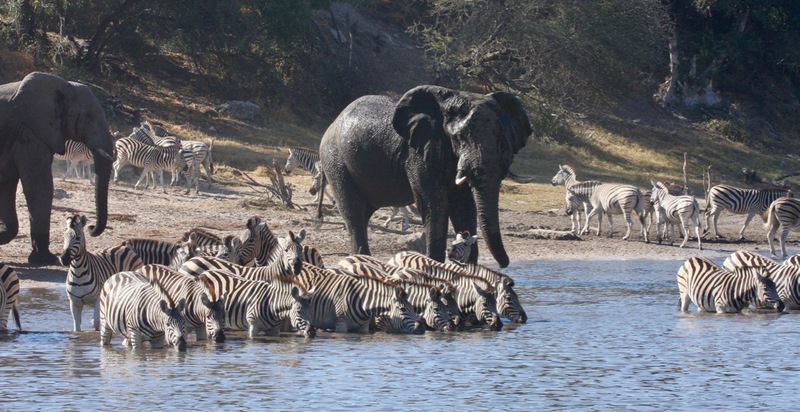 The camp offers morning/afternoon game drives in the Moremi Game Reserve and boating safaris on the Maunachira River. The staff made us quickly feel at home and took excellent care of us which complemented the excellent guiding. The bush brunch setup on the morning of departure was a lovely surprise which all clients would thoroughly enjoy and find memorable. 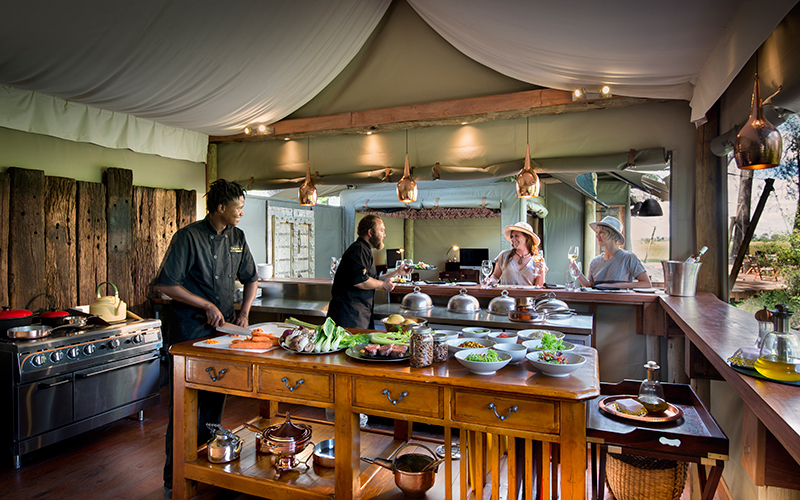 There is simply no way to describe the feeling of having a delicious brunch prepared for you whilst overlooking a beautiful and productive waterhole in the middle of the Moremi Game Reserve. How does the camp compare to similar camps in terms of value and experience? Camp Moremi is offered on a fully inclusive basis which includes airstrip transfers, all meals and beverages (local and non-premium) and activities at a very competitive rate considering the hardware of the newly built camp. It is definitely more modern in terms of design than its competitors in the region with much larger rooms that even though are canvas based, cannot be described as “Classic Meru safari tents.” The camp is tastefully decorated and has a much lighter and airier feel than its predecessor. 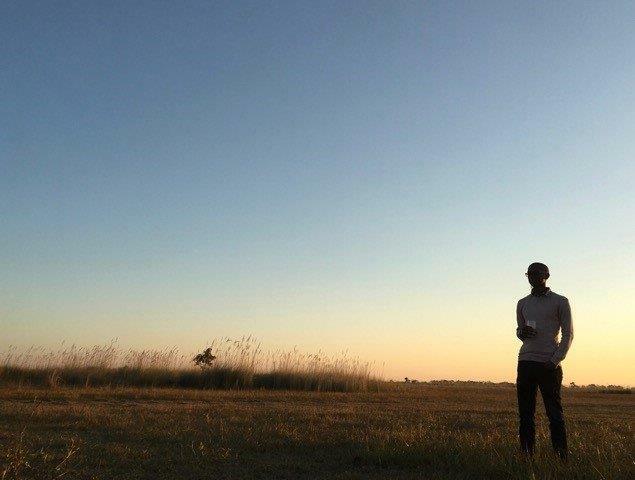 Located in the game rich Moremi Game Reserve, this camp provides a solid land based game viewing experience along with the added advantage of boating all year round. It works well within the Desert and Delta Safaris portfolio of camps such as Chobe Game Lodge, Savute Safari Lodge, Camp Okavango and Leroo la Tau with the added benefit being the rate reduction depending on how long the stay is within these camps and which package is employed. 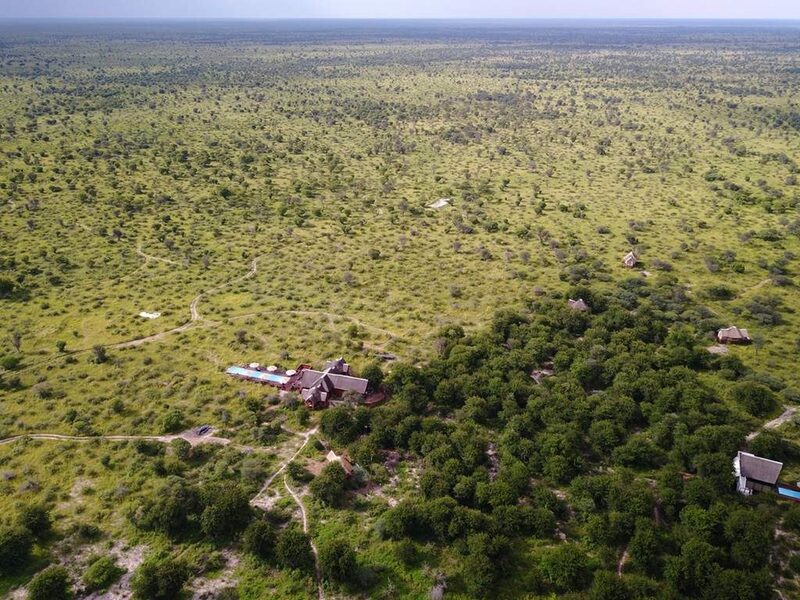 The rebuild does however mean it would be best to avoid Xuguna Island Lodge after a stay at Camp Moremi as the hardware is simply not on the same level. It works well being placed in the middle of an itinerary i.e. 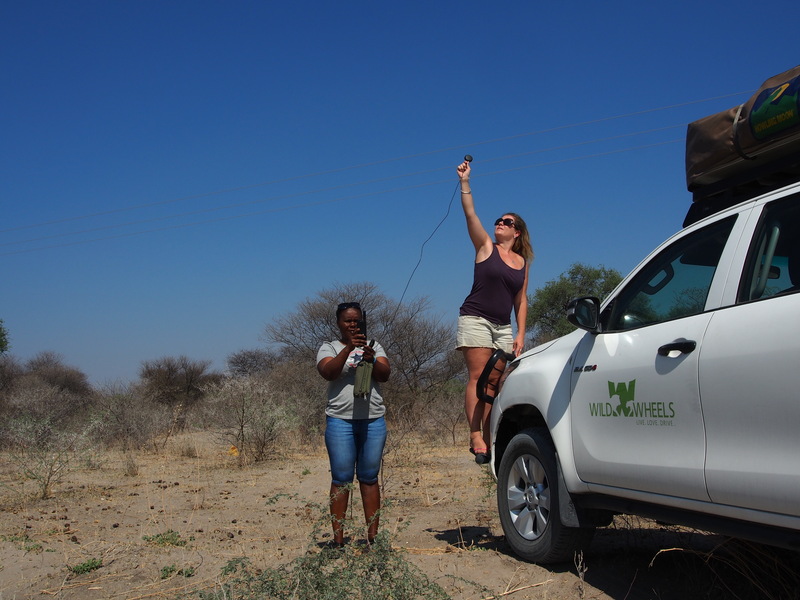 coming from Victoria Falls/Chobe or Maun (Central Kalahari/Delta) or at the beginning as clients can quickly fulfil their big game viewing experience upon arrival from Maun Airport. Outside the Desert and Delta Safaris chain of camps and lodge, it would work best combined with a true delta camp such as Kanana Camp or Stanley’s Camp. 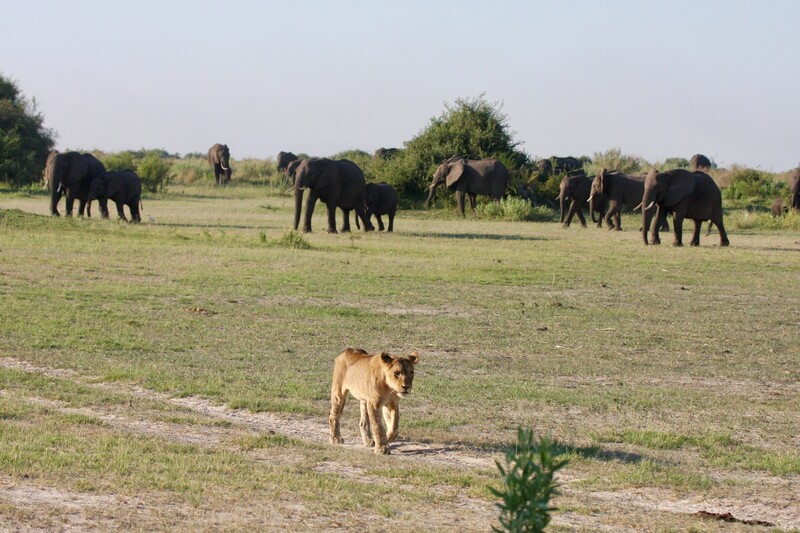 These camps are situated in private delta concession and thus work best after a stay at Camp Moremi and not before. 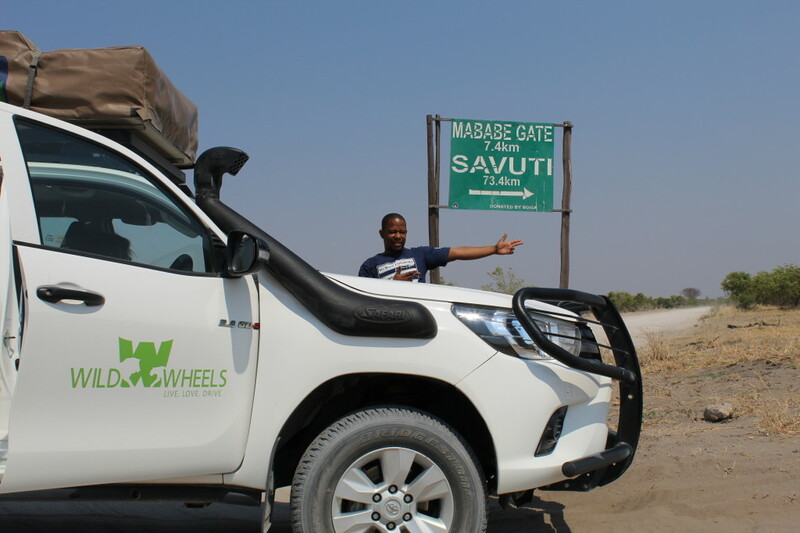 They would complement the experience at Camp Moremi by offering clients different experiences such mokoro excursions, walking safaris, night drives and the option of off-roading to get up close to the wildlife. The Elephant Interaction activity available at Stanley’s Camp (at a supplement) or a three nights stay at Kanana Camp thus offering the sleep out under the stars at no extra cost, are unforgettable experiences that can be added to have a truly memorable safari experience. If clients are looking for a mix of experiences, it would be worthwhile to combine this camp with a superior mobile safari such as Savute Under Canvas coming from Victoria Falls/Chobe and if there is no availability at Camp Okavango for a two night aquatic experience after Camp Moremi, cast your gaze to Pelo Camp as an alternative. 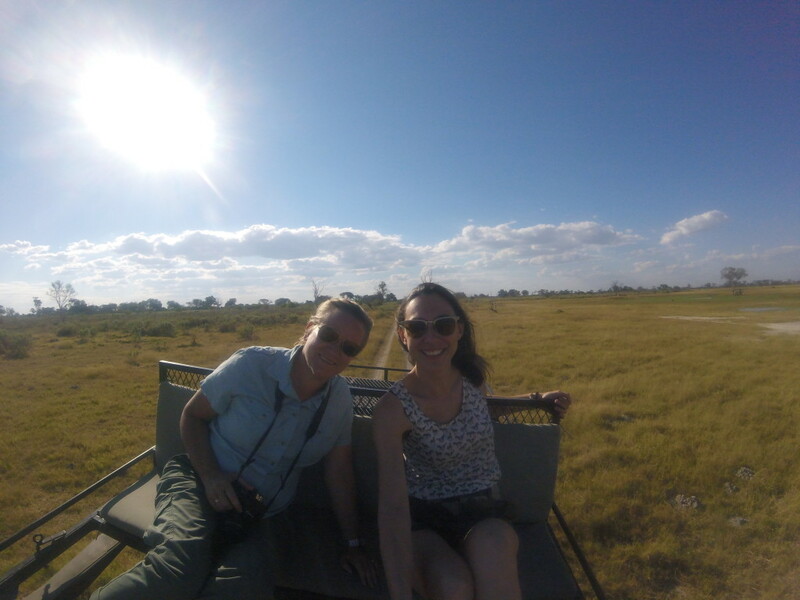 The Central Kalahari Game Reserve, Nxai Pan National Park, and the Makgadikgadi Salt Pans region would also make for a great combination with Camp Moremi. The choice of region will depend on the month of travel looking at the clients’ interests. This superior level camps suits a variety of clients. It has a great family unit (2 separate bedrooms that have their own bathroom facilities all under one roof) that caters well for families travelling with children below 12 years and adolescents. This room is located in close proximity to the main area for convenience. They offer generous child rates for children from 6 years (minimum age) to 15 years but please note a private vehicle will have to be booked at a supplement if there are children who are less than 12 years old at time of travel. The Ultimate Family Safaris package from Desert & Delta Safaris which include private activities at all properties is geared towards providing a flexible and child friendly experience. For clients with limited mobility, there is a room specifically tailored to their needs that is connected to the main area by the boardwalk and wheelchair friendly. This would also work well for elderly clients due to the distances between rooms. It is a perfect camp for a first safari experience being located in the renowned game rich Moremi Game Reserve. There are a number of rooms on raised platforms to please those of us who would rather avoid ground level accommodation due to the creepy crawlies that may join us, but please note that there is a section from the main area to these rooms that is not connected to the raised boardwalk. 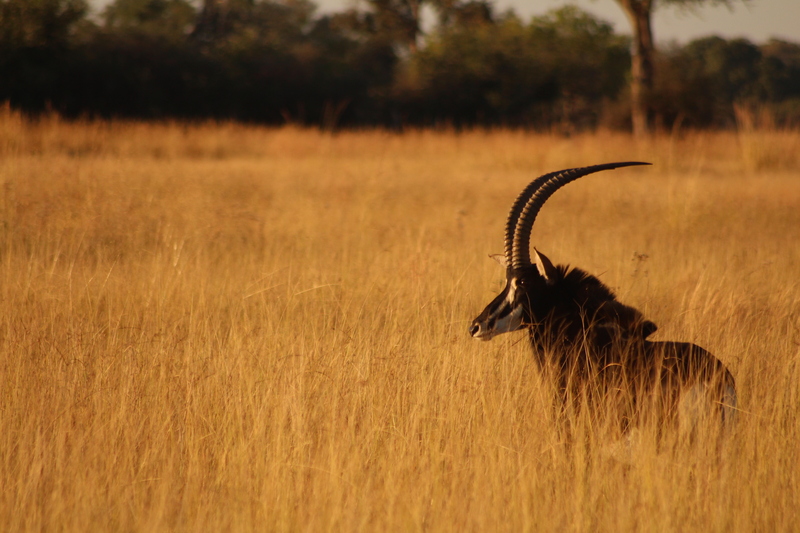 The Moremi Game Reserve offers great game viewing all year round due to the diverse range of habitats within the reserve – from open floodplains to belts of mopane woodland. 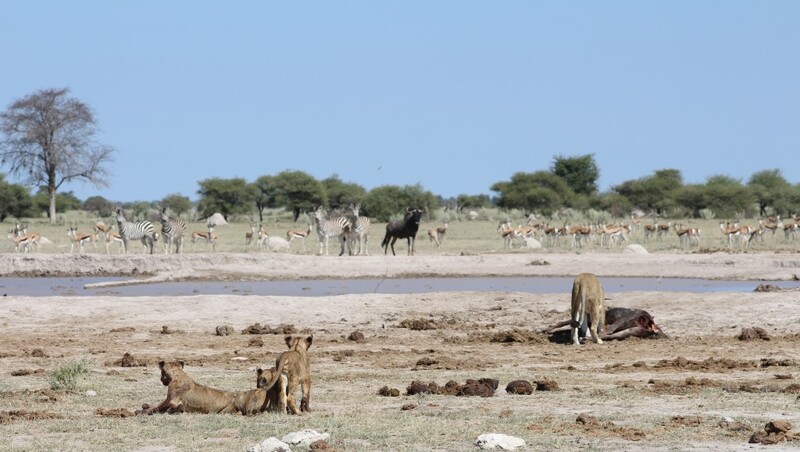 The best game viewing will be during high season (July – October), with the arrival of the flood waters in the region and the increased visibility due to the lack of foliage. The ability to offer boating all year round is a great advantage, especially during the green and shoulder seasons (November – June) as most delta camps have to curtail their aquatic activities due to receding water levels. The rainy season (December – March) may make for less concentrated game sightings due to the thick foliage but the heavily reduced nightly rates during this period of travel does compensate for this. It is also great for photographers due to the vibrant and vivid colour contrasts caused by the short but spectacular thundershowers which bring the vegetation back to life. Are there any areas that could be improved? The food and wine list needs a little polishing to fit with the rebuild of the camp. The current game drive vehicles also do not match the new property but thankfully this will be changed in the near future. 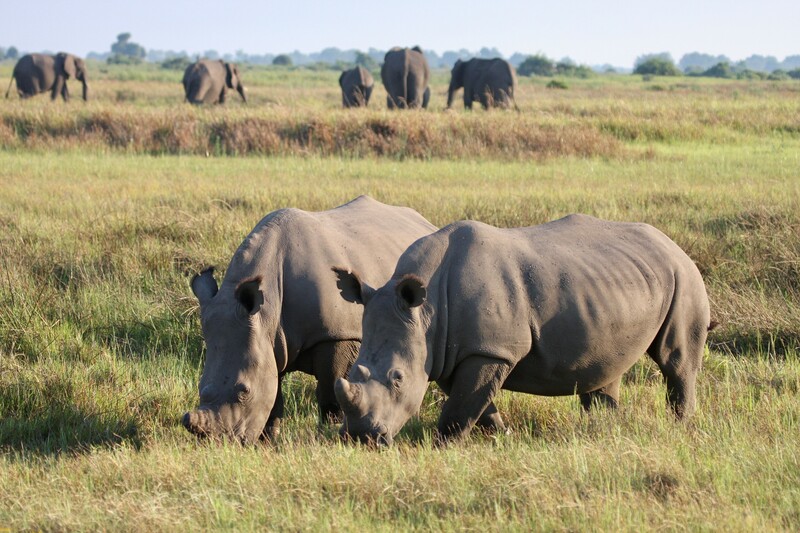 Until recently I thought that I had been to all the great places Botswana has to offer. 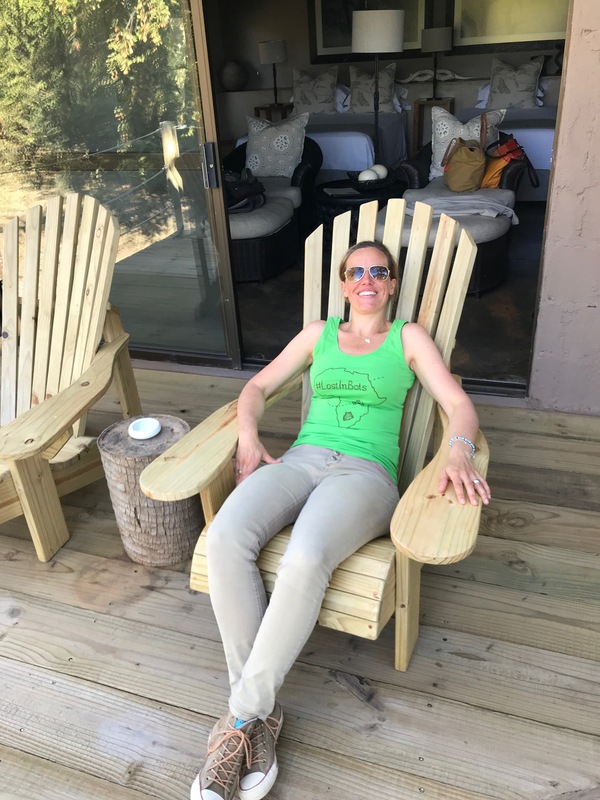 I thought I knew it all – wow – was I wrong. It took me 15 years in Botswana to finally step into a secret gem, a place of wonders, Mashatu – one of THE best kept secrets in Southern Africa. Our challenge until now was how to include and combine Mashatu with Northern Botswana. Thankfully, the introduction of special flying rates from either Johannesburg or Maun have enabled us to resolve this “tiny” issue and opened up access to this phenomenal and unique place. 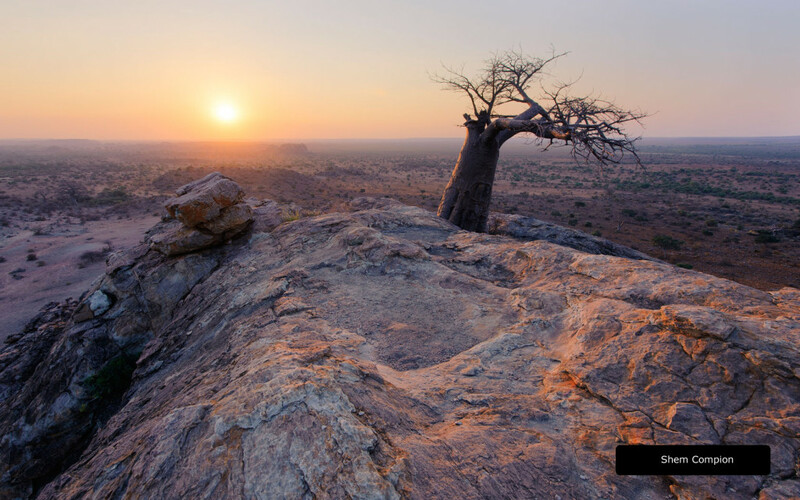 Mashatu impresses with very varied landscapes, from dry river beds to rocky cliffs, soft hills or huge open spaces. Ones eye never tires from the overwhelming beauty of nature in this remote corner of Botswana. It was interesting to see that there is very little grass which makes game viewing and wildlife photography even more rewarding. Along the rivers you can find beautiful large Nyala Berries, the locals call them Mashatu Trees. 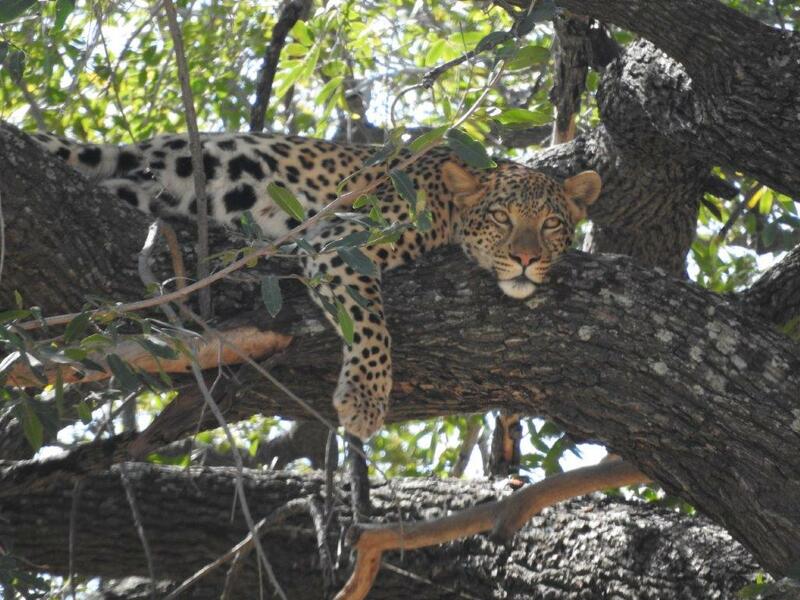 Game Viewing in the area is excellent all year round, chances of seeing the big cats are brilliant. In our short two game drives we saw cheetah on a hunt, several leopards and a lioness with her 2 month old cubs. Unique experiences add to the charm of this jewel: we joined a mountain bike safari which offered us a totally different perspective of the bush. 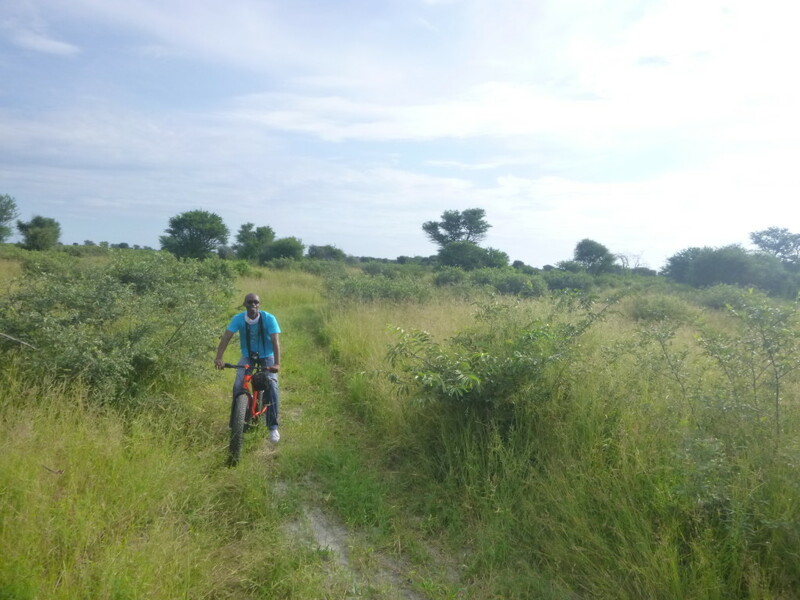 Our morning cycle was guided by Mosa, a very experienced ranger. We pedaled leisurely for about 20 km along ancient elephant paths, watching plains game in a distance and enjoying and absorbing the colors and smells of nature. Another brilliant way of getting up close to the animals is the Photo-Hide. which provides a safe place in which to view of the herds of elephants and even the occasional leopard who come and drink from the waterhole in front of the hide. Guests are also accompanied by a professional photographer who provides tips and tricks on how to use their cameras and can answer any questions they may have. How does the camp compare to similar camps in terms of value and experience? Are there any notable special offers applicable. There are actually no other camps offering a similar experience. Mashatu has a truly unique offering. The two camps in the reserve are very different in terms of look and design. Mashatu tented camp is an authentic safari camp, offering the safari addict a comfortable place to stay while enjoying the bush. It is ideally combined with camps like Pelo or Gunns Camp for the water experience, and in Vic Falls I would recommend Gorges or Little Gorges Lodge to complete the itinerary. The more upmarket Mashatu Main Camp is much bigger, with more rooms, a large new pool, different sitting areas and even a discovery centre. 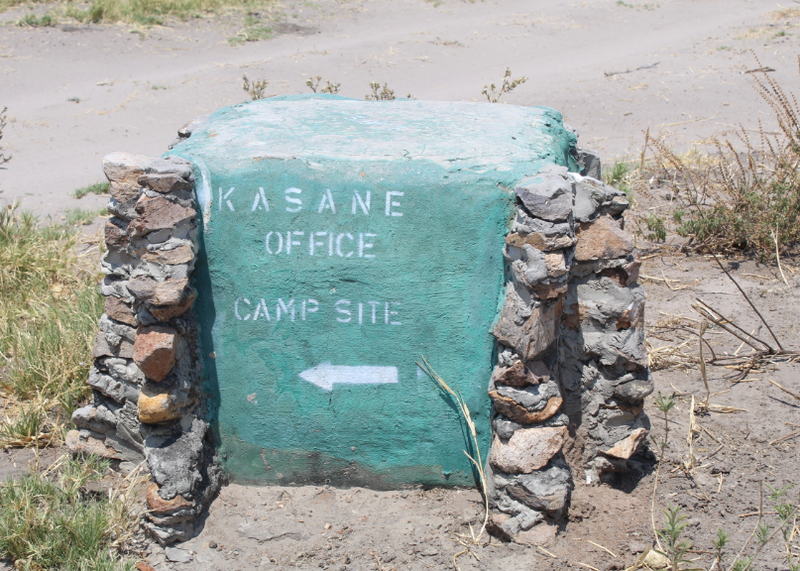 I see Mashatu main camp work wonderfully with the likes of Camp Okavango, Kanana or Splash in the Delta and in Vic Falls it could be completed with a place like Zambezi Sands or Old Drift. Specials: Both camps offer a great 4 nights for the price of 3 special during the months of January to April. Ideally Mashatu is the first stop in an itinerary, flying in from Johannesburg Lanseria and continuing to Maun. There are daily flights from Joburg to Limpopo Airfield (Mashatu’s gorgeous little airport). This way guests arrive on a positive note, the immigration officers in Limpopo are friendly and professional. Another advantage of starting your Botswana safari with Mashatu is to avoid the long immigration queues at Maun Airport (which can sometimes take up to two hours). The flight from Mashatu to Maun is either on a scheduled flight on Wednesdays or Saturdays or on a private charter. Alternatively guests can arrive by car from South Africa before continuing their journey in Botswana or across the border to Zimbabwe. This camp basically suits all different target groups. Main Camp has a family unit and can accommodate families with children. The tented camp is better suited for couples or single travelers. Adventure seekers found their heaven, Mashatu offers mountain biking, guided walks and horseback-safaris. The camps in Mashatu offer a year round experience. Excellent value for money from January to April with the 4 for 3 nights special. In Green season (rainfall is very low in this area, with more than 330 days of sunshine) the landscape miraculously changes into a colorful spectacle. 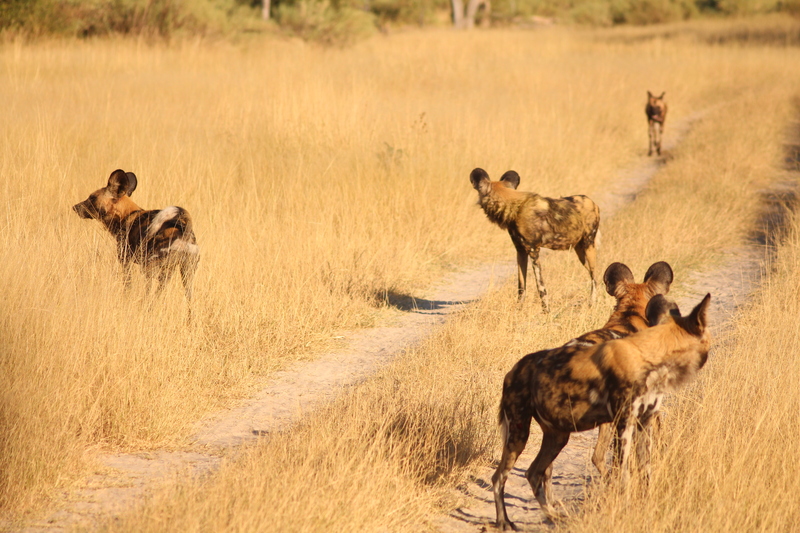 Mashatu is much less seasonal than the northern parts of Botswana and offers excellent game viewing throughout the year. Set in the heart of the Okavango Delta, the renowned and brand new Duba Plains Camp is a wildlife haven and the perfect place to visit year-round. The constraint of the deep permanent waters of the delta means the wildlife on the 77, 000 hectare private reserve remain here across both wet and dry seasons. A matrix of palm-dotted islands, flood plains and woodland, one of the most beautiful concessions in the Okavango Delta. Game viewing was mind-blowing, my short 24 hour stay in early January was filled with great sightings. An enthralling experience from morning till night. Thank you to Great Plains & the managers & staff at Duba for hosting me last weekend. I was absolutely blown away by every aspect of my stay, in particular the surprise evening in the interactive kitchen, a truly unique experience, where chef Herrmann managed to captivate and entertain while preparing an array of gourmet dishes. If your client is looking for a unique, cozy, romantic and chilled camp, then Pelo is the answer. Most of these requirements will already be met as the little aircraft descends over the palm tree dotted, flooded landscape of the Jao concession. 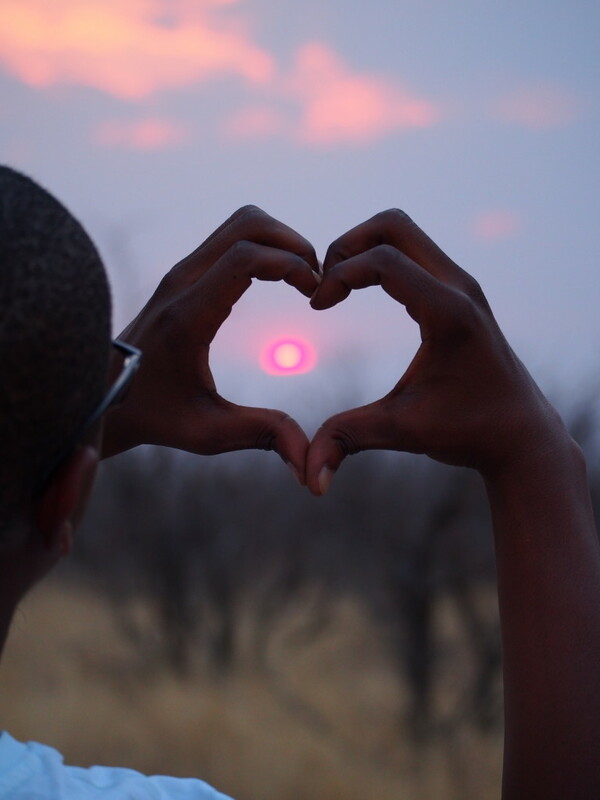 Your eye gets caught by a tiny island in the shape of a heart; the Setswana word for heart is PELO. All 5 tents are on stilts facing the water, the intimate terraces open up to the safari wonderland of the deep Delta and are filled with the beautiful cacophony of birdsong. Pelo is a water camp, meaning there are no vehicles on the island. 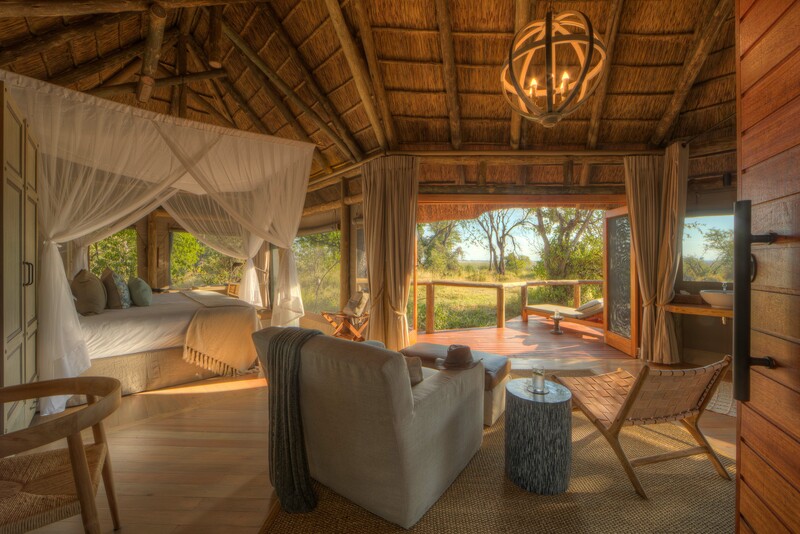 It therefore combines superbly with productive land camps in Khwai, Moremi Game Reserve or Savute. 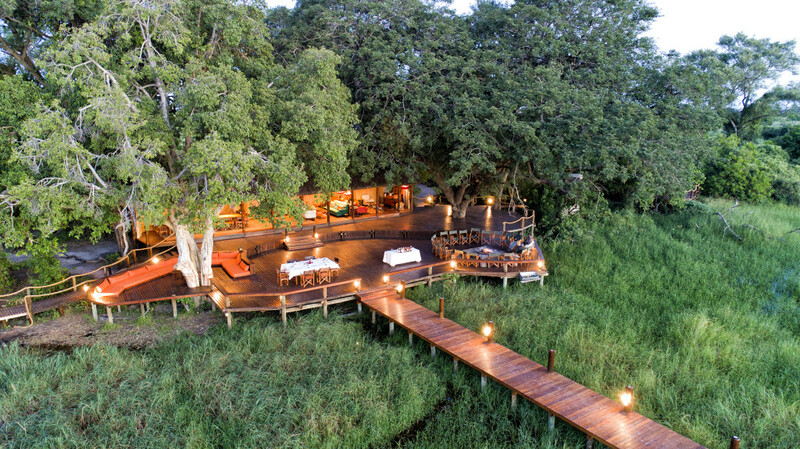 This camp is a little jewel and shines well at the end of a safari. Here you come to glide silently over Delta Waters in a Mokoro and explore the endless diversity of the floodplains by boat. Most importantly you come to chill and enjoy yourself and the universe – it should also win the prize for the most stunning pool in the Delta! 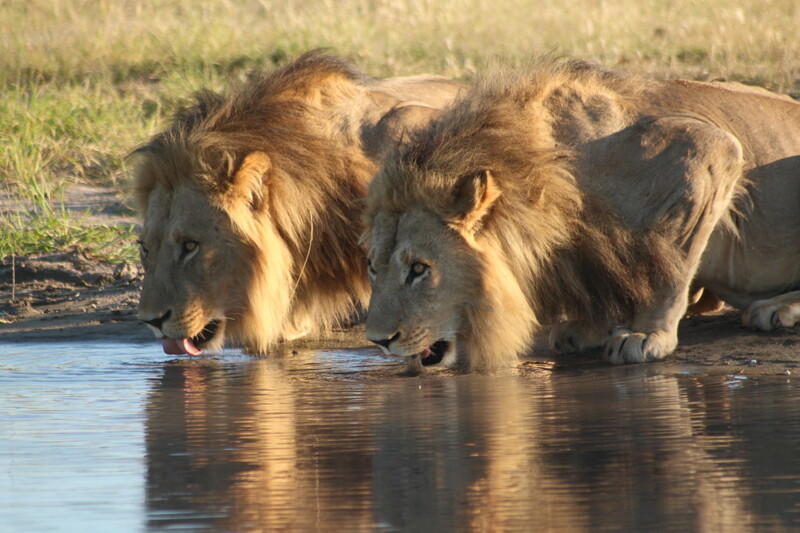 Jao water levels vary greatly, your safari consultant will have the best advice for you. Pelo sits in fairly deep waters, which dry out last in the Delta – another reason to include Pelo in your next itinerary! Pelo is run by Wilderness Safaris as an Adventures camp. Activities on offer include mokoro trips, boat based game viewing and seasonal catch and release fishing. The camp has five guest tents, complete with a covered front veranda, and both an indoor and outdoor shower. Pelo is open annually from 1 March to 30 November. 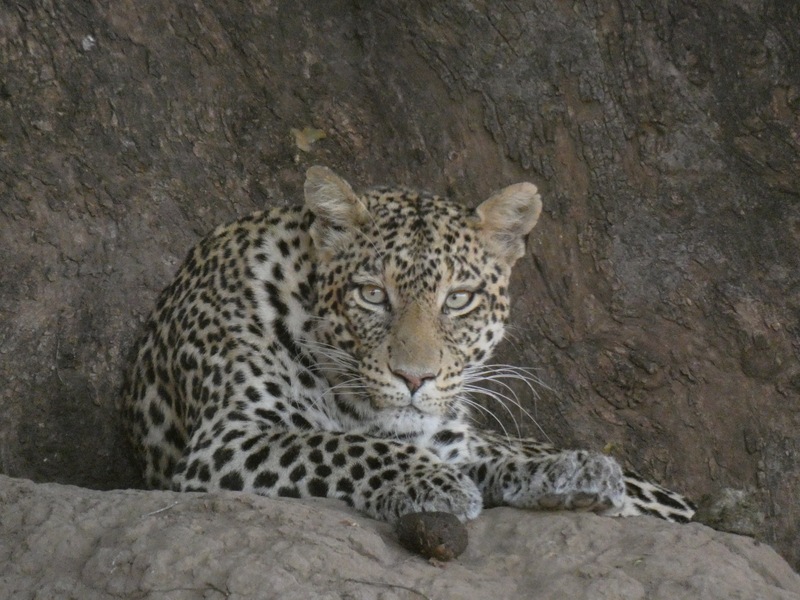 Feline Fields – a unique Botswana experience! Three of my colleagues and I recently had the pleasure of spending two nights at The Lodge located north of the expansive Central Kalahari Game Reserve. We were picked up at our offices in Maun just after lunch for a comfortable four and a half hour road transfer in their air-conditioned 4×4 to this rather unique product. Although there was not much to see on the way, we kept our spirits up by discussing exactly what we were about to experience as it became apparent that although we were seasoned travellers in regards to camps and lodges in Botswana, we did not quite know what to expect at this property as big game viewing is not the primary focus. This is not to suggest that there is no game in the area (as I realised later on) as we encountered zebras and kudus during our stay there but rather that this property has a completely different ethos as compared to the camps we regularly visit in more predominately game rich areas in the delta. We arrived to a very warm welcome by Teddy, the lodge manager and his ever smiling staff. The lodge really is beautifully built to match in with the surrounding area and the twenty-five metre lap pool had us all wanting to take a dip right then and there! We freshened up with a welcome cool drink and prepared ourselves to hear the usual camp briefing regarding operations safety pre-cautions and activities. Instead of the usual early morning wake up at 05h30 in the morning for a game drive we were advised we could sleep in until breakfast was served at 07h30! 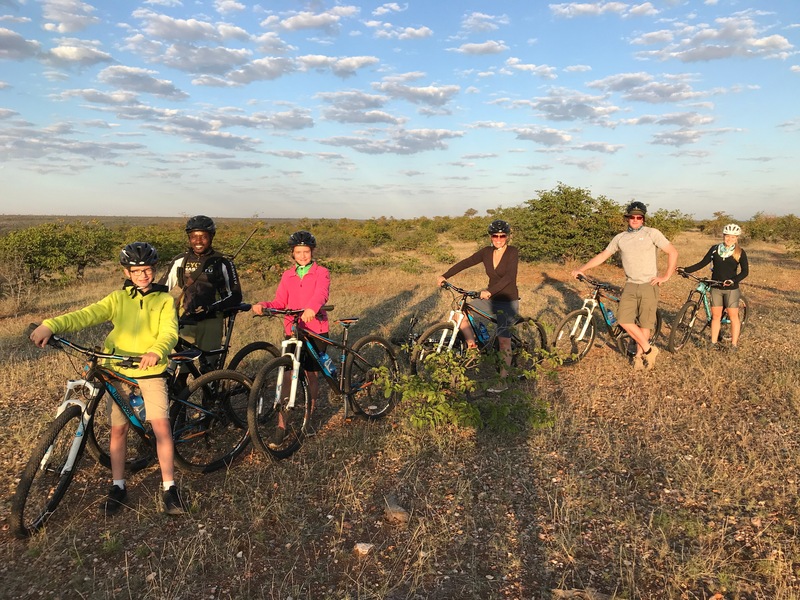 The activities on offer had us all spoilt for choice as one could go on a game drive, walk, fat bike tour of the area or horse riding. Other activities on offer are golfing (desert style! ), tennis, an authentic bushman experience (either a walking safari to discover what the desert can provide in terms or nourishment and medicine or a more in-depth fly-camp experience at a bushman village located close to the lodge) or if one is feeling like being pampered, massage treatments are also available at a small supplement. Needless to say we all chose our prepared activities for the following morning with two of my colleagues opting for the horse riding and the third taking in a massage. I opted for fat biking riding with a twist as I was going to follow my colleagues on the horses. In hindsight, this was probably not the best decision I have made in my life, as the next morning I quickly came to realize one cannot follow horses on a bright orange fat bike through the Kalahari veld. As my colleagues got introduced to their horses and the guides, I took this time to name my fat bike “Bubba” as all the horses had names I did not want my trusted bike to feel out of place. The ride started with a light trot which Bubba and I easily kept pace with, but this was to quickly change. When the horses went into a canter, keeping up with them rapidly become more difficult. Thankfully they stopped when they realised that I had fell from view and waited for me and Bubba to catch up. It was at this point, I made the decision to return back to the lodge with Bubba and let them enjoy the rest of their ride, as I was clearly slowing them down. Again, in hindsight, probably not the best decision as fat biking through tall grass on your own on a bright orange fat bike in a concession that can have wildlife pass through it without a guide would be considered foolhardy at best. I could just imagine the confusion on a leopard’s face seeing me and Bubba huffing and puffing along! Swinging my neck around every two seconds to check for wildlife whilst trying to stay on the “path” we had taken was a challenge to say the least. My joy at finally seeing the lodge appear on the horizon was that of the desert when it rains. Pure and utter joy and relief! Departing the next morning, it dawned on us that we had experienced something completely unique in the tourism industry of Botswana. 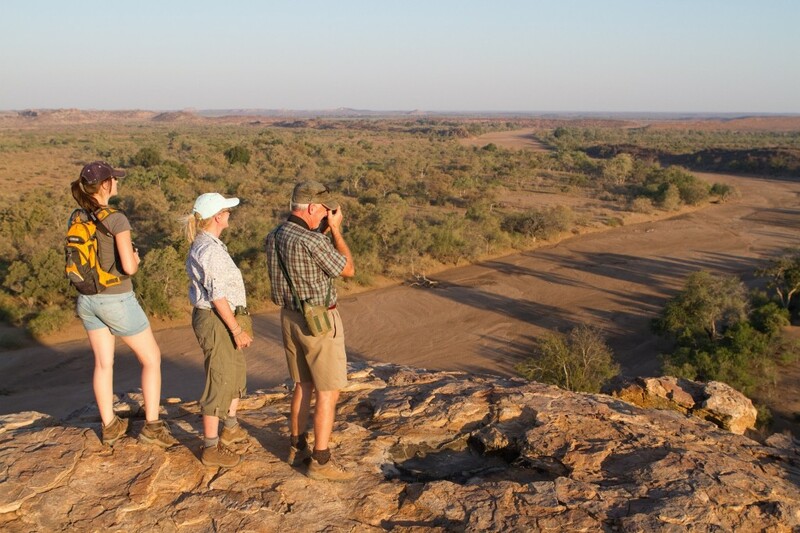 They whole ethos is centred more around the relaxing and varied experiences available rather than big game sightings. A fitting and relaxing end to any safari.